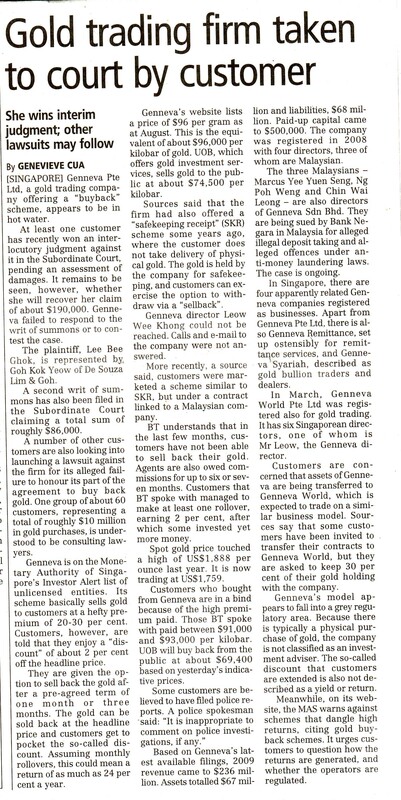 Gold trading firm taken to court by customer. I got a message from one of my advisers on the following news. This news never came as a suprise for most of us as we foresee it to happen. The question is when. We advised our clients to avoid this investment but sadly, there are a few who did not heed our advice. Back in Sep’ 2010, I had written about entering this investment with both eyes and your mind open. Here’s the article. Previous Why I love my job.